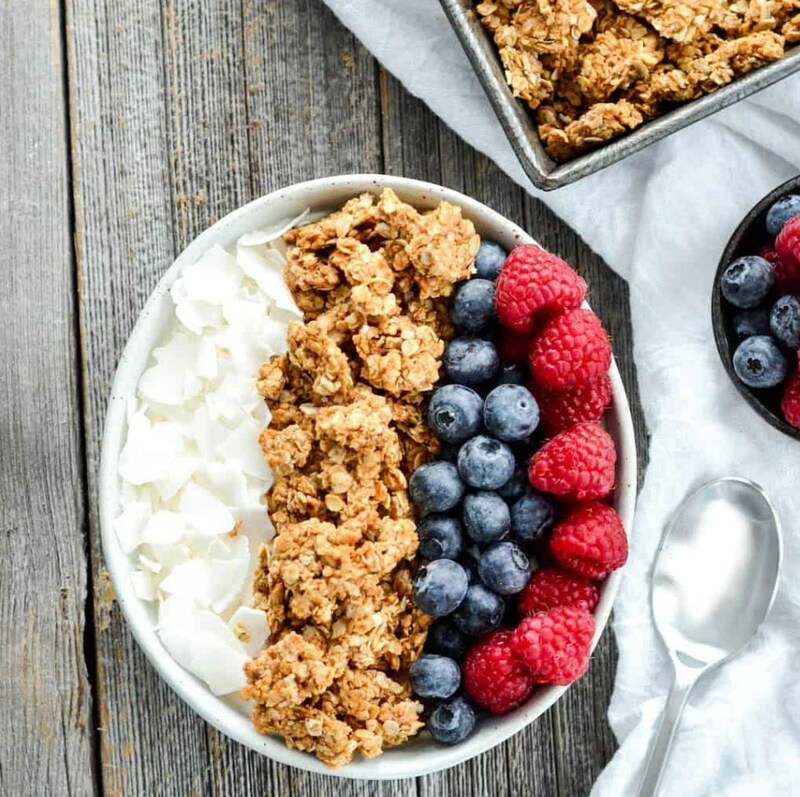 This Healthy Peanut Butter Granola is the perfect make-ahead breakfast recipe! With only 6 ingredients it's so easy to make! Gluten-free, dairy-free, refined sugar free, oil free and vegan! Preheat oven to 325 degrees F. Grease a large cookie sheet and set aside. In a microwave safe dish or on the stovetop, melt the peanut butter and honey (or maple syrup) together until smooth. Stir in dry ingredients and mix until well combined. Spread mixture on prepared cookie sheet. Bake in the preheated oven for 20-25 minutes, or until granola is lightly browned, stirring the granola once gently half way through. (A great way to test for doneness is to remove a small portion of the granola from the pan and set it on the counter. If it hardens as it cools the rest of the granola is done)! Remove from oven and let sit until cooled. Once cooled, break apart and eat! *Nutritional information is calculated based on a serving size of 1/4 cup!